Motorized ring lift rolling ball sculpture with 1" marbles. 46" x 27" x 11" deep - Acrylic hand painted details. Signed, dated and numbered. 14 - 1" glass marbles - Acrylic hand painted details and base panel. Signed, dated and numbered. 5+ tracks with track splitters. Elements include funnel spiral, double loop with jump through a hoop, 4 ball energy transfer section, straight spirals, and 2 spinners. RBS 051 is called The Stars at Night - from a song by the Head and the Heart - Just like the sun and the moon and the stars at night. This sculpture, and RBS 051 were built at the same time. The hubless rings are all cut from one large sheet of stainless steel, so they nest together and start out small with a 14" diameter, then get larger as they go. The larger rings can get to 36" diameter. 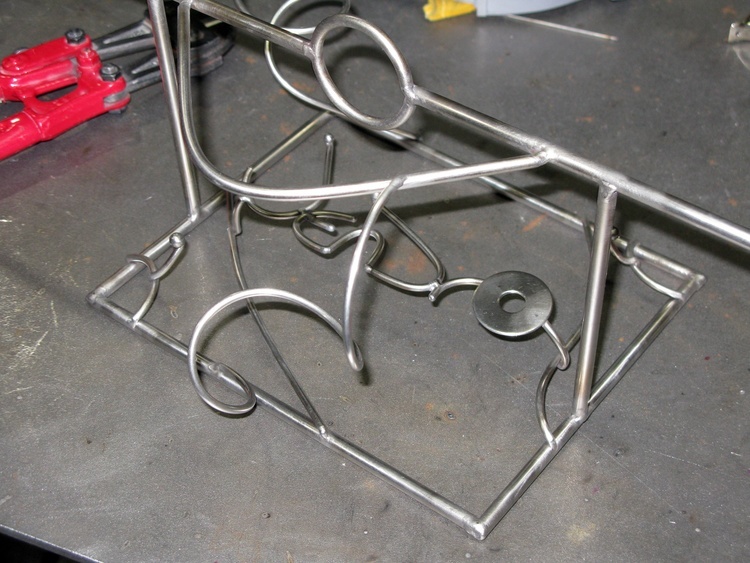 The larger the rings get, the more track and kinetic elements can be placed on the sculpture. This sculpture is signed "Jendro" in metal on the base, and also signed and numbered and dated on the reverse side of the bottom painted panel. 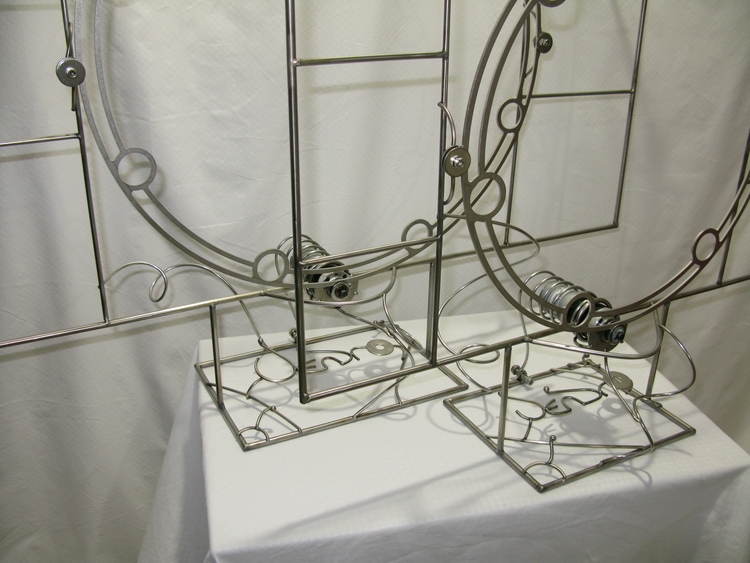 It can be mounted on a wall using the adjustable wall mounts on the sculpture, or it can be set on a table. It is designed to do either. The sculpture is also designed to survive shipping stresses too.